GCL has long term working relationships with several companies through which it can obtain supplemental support as required. This support is readily available for non-”in-house” engineering disciplines, such as CFD studies, electronics, special closures and handling gear design. CAD drafting in all disciplines is also available to supplement GCL’s staff when required to insure that schedules can be met. 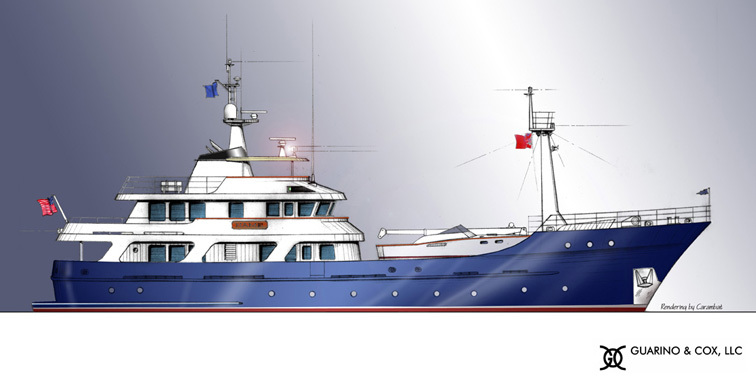 GCL’s added emphasis on yacht design has been enhanced by its alliance with Expedition Yachts International (EYI.) Ben Snead, a principal of EYI, has considerable experience in the field of expedition yachts. The GCL/EYI working agreement makes it possible to offer a full range of services to the yacht client, from conceptual design sketches through procurement to representation of the client during construction, in part or as a total project management package.